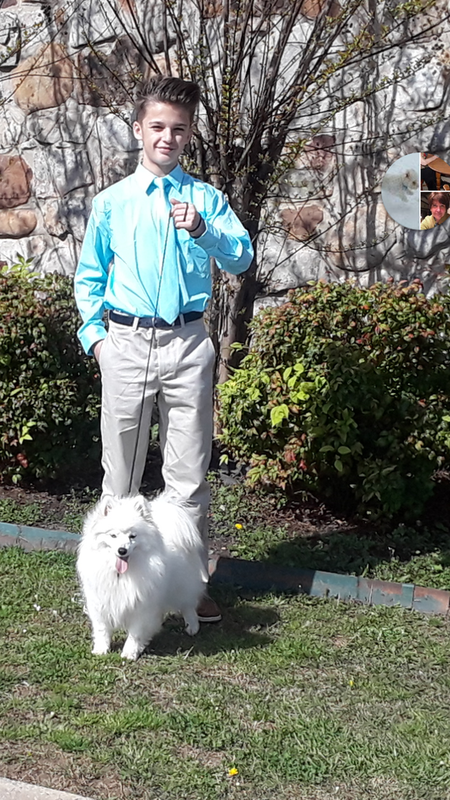 We are a small kennel located in Talking Rock, Georgia. 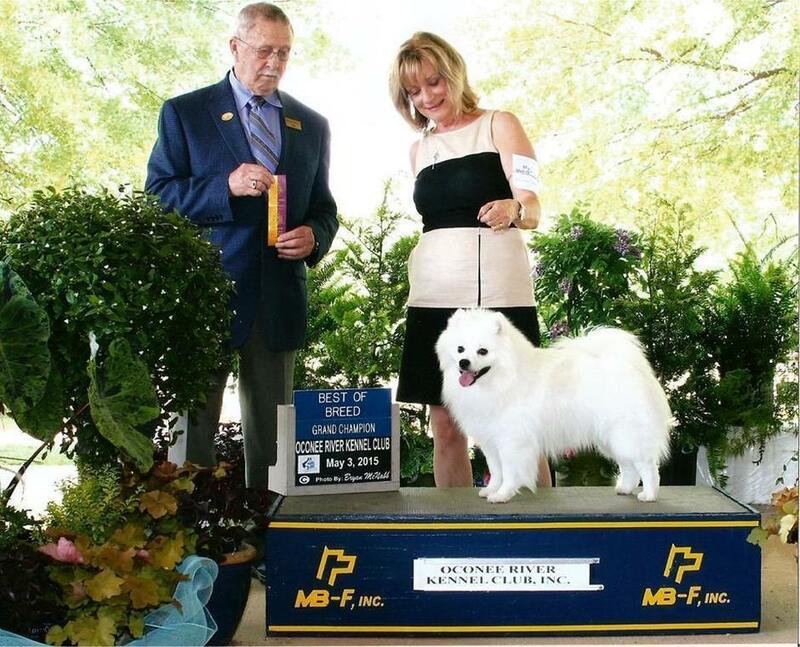 We are dedicated to the breeding, showing, and "just having fun" of the American Eskimo. 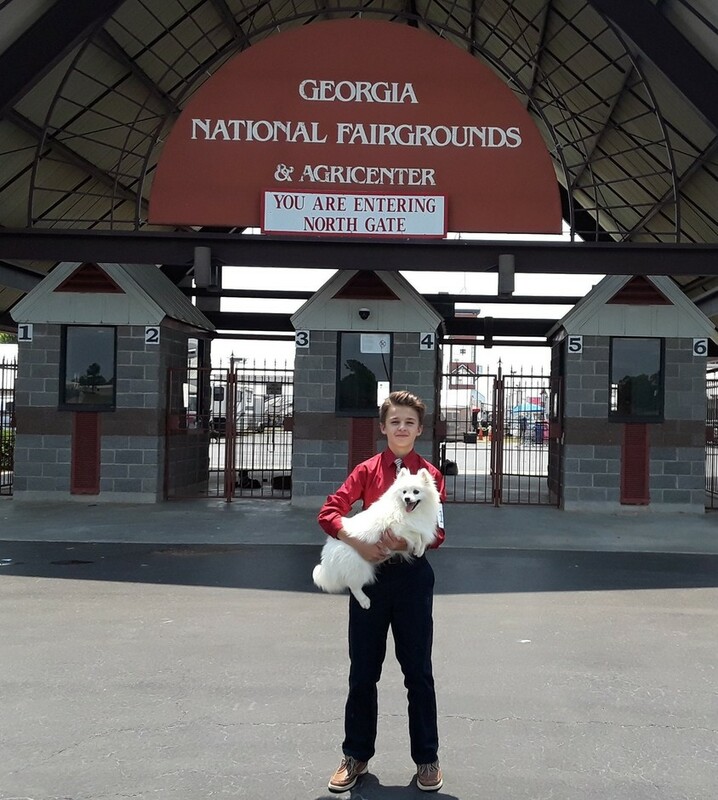 My handsome grandson - Dylan Byrd - at an AKC show in Perry, Georgia May 13, 2018 with AKC Ch./UKC Gr Ch SR Miss Maize Byrd (Below right). 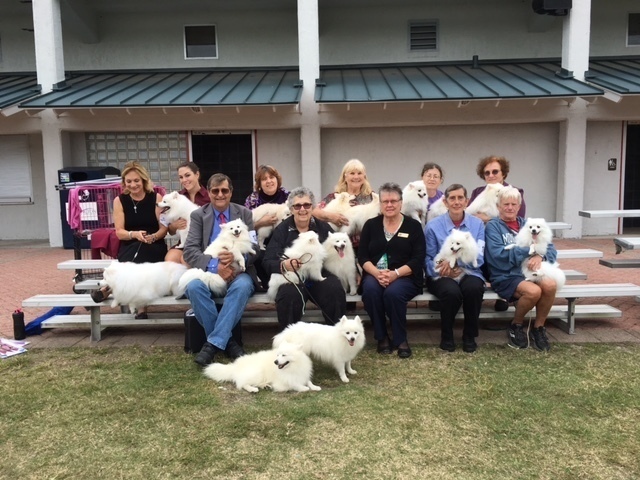 Dylan with UKC Ch. 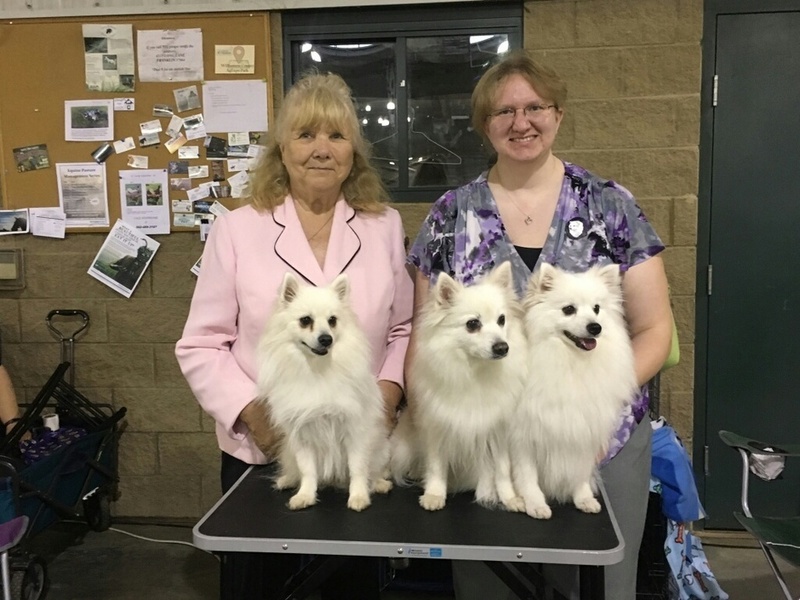 Kingsfield SR Annie Oakley (on the left at a show in Alabama. 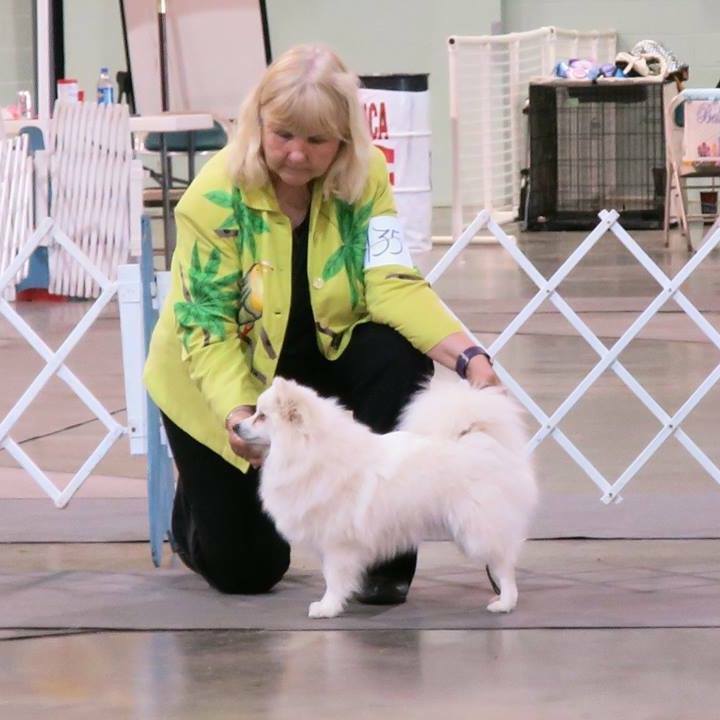 AKC Bronze Grand Champion - SR Champagne Toast October, 2018 - owned and loved by Terri and Lauren Spicher - now retired from the show ring.